1949--MIGHTY JOE YOUNG--A young woman who has raised a giant gorilla from an infant brings him to Hollywood years later seeking her fortune in order to save her family's ranch. It should be noted that in the credits, Mighty Joe Young is played by himself. That helps with zonks, because it implies that the events of Mighty Joe Young happened, and then Joe later went and starred in his own movie based on those events. 1940s/1950s--MIGHTY JOE YOUNG MEETS TARZAN--This was a sequel that almost happened. I like to think it still exists in the TVCU since there's nothing really to my knowledge to contradict it. 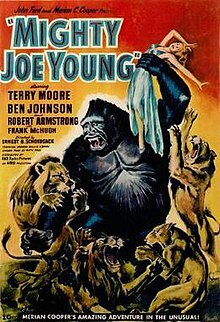 This would have been a sequel to Mighty Joe Young and also part of the Lex Barker Tarzan film series. 1966--NOT WITH MY WIFE, YOU DON'T!--A live action film, but in a cartoon prologue, a female ape points out her angry husband, and it cuts to a clip of Mighty Joe Young, implying that this female ape is the wife of Mighty Joe Young. 1974--SANFORD AND SON--Fred Sanford makes two references to Mighty Joe Young, both as insults to women (once for Esther, and once for Grady's fiance). 1978--KISS MEETS THE PHANTOM OF THE PARK--Mighty Joe Young is referenced. 1988--CHEERS--"Woody for Hire, Meets Norman of the Apes"--Cliff mentions Mighty Joe Young. 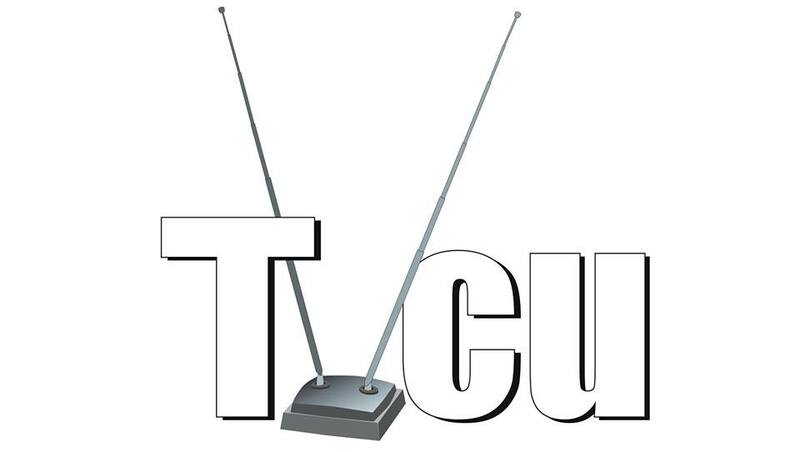 TVCU2--The events of the 1998 remake of MIGHTY JOE YOUNG. A legendary fifteen-foot tall mountain gorilla named Joe is taken to an animal sanctuary in California by a zoologist and a young woman whom he grew up with. A poacher from the past returns to seek vengeance on him. Also probably in the TVCU2, in George of the Jungle 2, Ape is called Mighty Joe Old.